Dreams are boring. There, I said it, and I’m not taking it back. My dreams are exciting to me, sure; I sometimes wake up in the morning like I’m coming back from being a completely different person, and I’ve even had night terrors that have kept me in and out of sleep for nights on end. But that doesn’t mean anything, beyond some occasional rough days and fleeting sensations. Dreams mean something to the dreamer, but as a narrative device, they’re difficult to pull off, to put it kindly. The Sopranos mostly managed it, and Twin Peaks got some iconic moments from nightmares, but both shows had a creative team willing to push to a certain level, either in symbolism or pure strangeness, to make the conceit effective. Too often, dreams are just an excuse to play out impossible (or wildly implausible) scenarios in an otherwise realistic show. This meant tonight we got a spooky dream about a demon choking a kid, and we got a wild hook-up between Chase and Park. Neither meant anything; the former was used as part of yet another battle between Science and Faith that ended in a draw, while the latter made Park and Chase act awkward and then friendly to each other. This wasn’t awful, and the two characters have some fun scenes, but the dreams themselves were just flat and boring. But I guess when “Body & Soul” wasn’t being flat and boring, it was being miserable, so I should take what I can get. This episode pushed a few of my buttons, dealing a lot of predictable and tired crap about the mystical power of religion, cheating us with a “levitating” trick, and then throwing caution to the wind with a final twist that was as unintentionally hilarious as it was thoroughly misguided. I try and give House the benefit of the doubt when I can, not because it deserves it but because it makes my job more interesting, but this was by and large lousy, just full of cliche and narrative convenience and the sort of cheap melodrama the show used to be so good at undercutting. “Body & Soul” isn’t that much worse than the rest of the season, and in a certain light, it’s possible to see what the goals were here, and how they fit in with the rest of the series so far. It’s just the timing is off enough to make everything crash together, building to that final, terrible moment when one of my favorite characters on TV says, in effect, “I could die,” and I laughed. A lot. Lue is a Hmong boy who is having bad dreams, and those dreams are killing him. Exciting, no? But what looks like a freaky “What do dreams mean?” storyline quickly changes gears into a religion-thing that’s about as predictable as that non-descript pronoun implies. The team’s usual routine of making false diagnoses right up until House figures out the right one disappoints Lue’s mom, to the point where she decides to allow Lue’s grandfather to come in and do an exorcism. The exorcism just happens to coincide with House’s one-chance-in-a-million cure, and when Lue gets better, Mom believes it was the exorcism, while Adams believes it was the Ibuprofen. Taub, having witnessed Lue levitating, remains on the fence. There’s a difference between being respectful of other cultures and just being plain stupid, and this story falls into the latter category. The show has tried for ambiguity in resolving this kind of debate in the past, but here, it just seems lazy, even with the bizarre “levitation” aside. There’s a balance to this kind of plot, and “Body & Soul” doesn’t bother to achieve it, probably because we’ve seen all of this so many times before the writers felt the need to do something that would surprise us. All right, there’s a way to look at Dominika and her exit as appropriate. 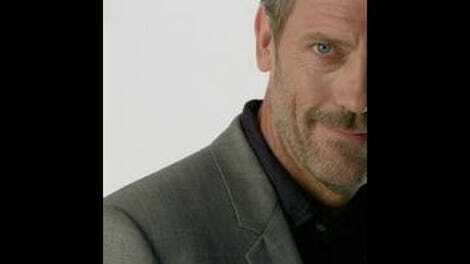 House is, after all, someone who has always wanted someone to be close to, while at the same time someone who is convinced that anyone who did get close would ultimately leave him because he’s such a horrible person. He lied to Dominika because he’d suddenly realized he had feelings for her, and this was the only way he was capable of showing it: by being horribly, horribly selfish. Of course she was going to eventually find out, but everything is laid out so starkly here that he ends up not just looking pathetic and lonely, but actively cruel. What happens between House and Dominika near the end of the episode is just one step too far, a scene intended to shock that gets into an uncomfortable area that the show isn't prepared to deal with. House has long had a problem with making sure its lead is both selfish and sympathetic, and this is yet another time the writers didn’t quite manage it. Hugh Laurie can sell all the soulful eyes he wants, but after a certain point, soulful isn't an excuse. It felt like things we've crossed that line here. Dominika was obviously created to be as much a fantasy personified as House is ever likely to meet, which meant losing her for good was yet more proof that he was too damaged to ever make anything work. But the drama of it all didn’t work. The last scene of the two of them together was shot and scored to appear mournful, but it didn’t really feel mournful, and playing it as though House was a wounded puppy who’d just piddled on the rug didn’t work. Then there’s Wilson and his sudden reveal: “I’ve got cancer.” This was ludicrous. Not only does it look like Wilson was just leaning against his wall for hours, waiting for House to come by to hear the bad news, not only does this come right after House just proved once again that Wilson is the only long-term relationship he’ll ever be able to maintain, but it also reeks of “we’re getting near the end”-itis, the sort of big, splashy twist thrown into the mix simply because, hey, why the hell not. Giving Wilson cancer is also blatantly ironic, so the only way this could have worked is if it had been a long build over the course of the season, instead of a sudden, spastic twist. Robert Sean Leonard played the hell out of it, and I’m sure next week will be both heartbreaking and ridiculous. But this is a textbook example of the kind of crap that could very well ruin the pleasant-but-tenuous buzz this season has largely sustained. It’s the worst kind of joke, really: the kind that isn’t supposed to be funny. I guess this could all be another of House’s hallucinations, but that would be even more idiotic. Sigh. The Chase and Park story was okay. I don’t know if it would work if they hooked up, but they’re certainly funny together.